Partnering with the Green Gecko Project in Cambodia, assisting refugees, preparing birthing kits for Africa, raising funds for youth homelessness, packing Christmas hampers for the needy… these are just a few cases highlighting how our girls have been living the School Motto – Utilis in Ministerium (Useful in Service) for almost 100 years. Each year our Junior and Senior Service Learning Captains work tirelessly to plan events and raise awareness and funds. The school also has dedicated Service Learning classes. Each class raises consciousness about injustice locally, nationally or globally and encourages empathy and supports our girls to take action. Camberwell girls are encouraged to have a ‘can do now’ attitude. 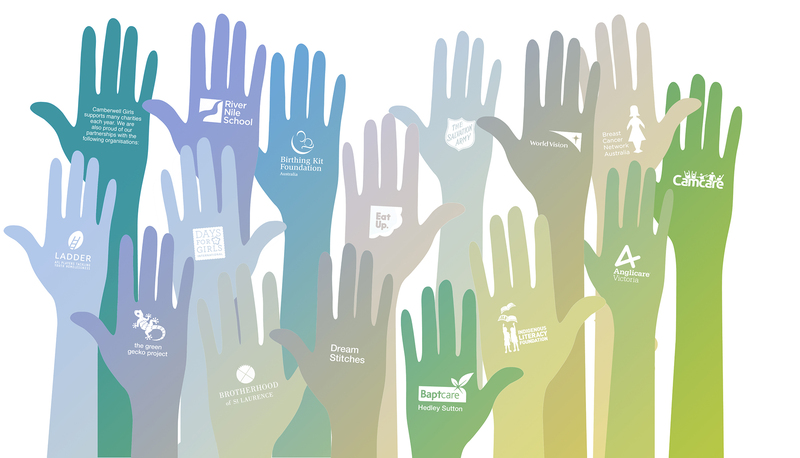 A CGGS education empowers students to lead with humility and inspires them to make a difference by contributing to building a more just and sustainable world – being a global citizen. In addition to co-curricular opportunities for student engagement, these strands are also linked to the curriculum. Strand 1 Our Year 9 Service Learning curriculum has a focus on local disadvantage, especially youth homelessness. Strand 2 The Year 8 Service Learning curriculum is focused on Indigenous Australians. Strand 3 Our Year 10 Service Learning curriculum is focused on global issues for women, with a particular emphasis on Cambodia, through our relationship with the Green Gecko Project. Strand 4 Our Environment Stewardship forms part of the Year 7 Service Learning curriculum and a number of co-curricular activities. 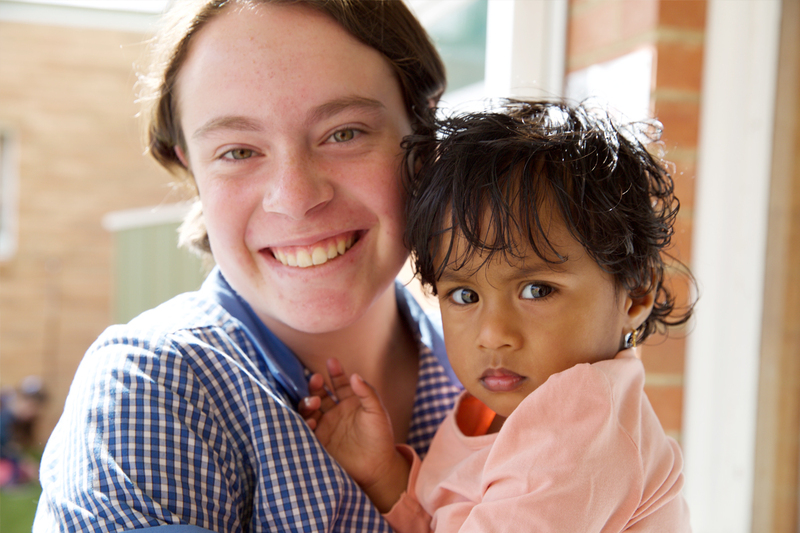 At Ormiston our students are connected with many opportunities to serve and highlights include the Anglicare Winter Warmth Appeal, our World Vision Sponsor Child and our new partnership with Hedley Sutton Aged Care. Days for Girls is an international charity that makes feminine hygiene kits and distributes them across the world. Its vision is for every girl and woman to have ready access to feminine hygiene by 2024. 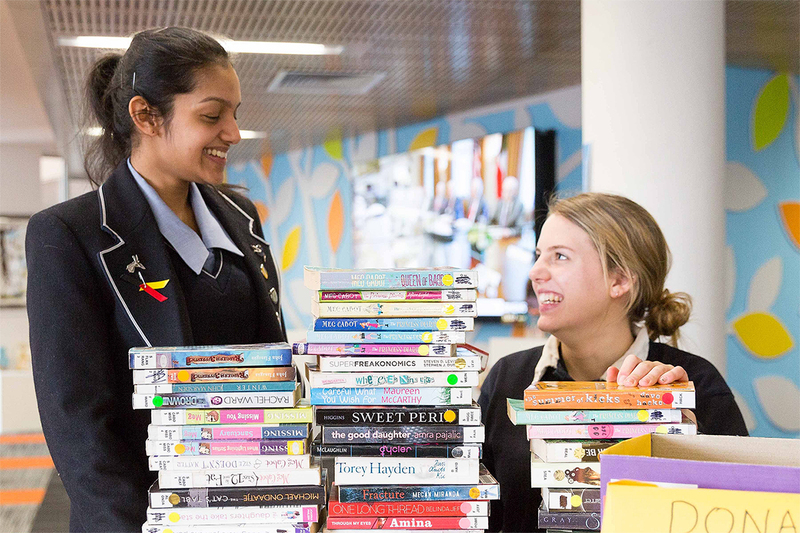 As part of the School’s commitment to reconciliation, each year our Reconciliation Captains organise a week-long ‘Great Book Swap’ that takes place in the Library. All funds raised from purchasing secondhand books is directed to the Indigenous Literacy Foundation to help them reach their goal of lifting literacy levels of Indigenous students and instilling a lifelong love of reading. Only 25% of Indigenous students in remote areas are at the minimum reading standard, compared to 90% of non-Indigenous students. The Indigenous Literacy Foundation is working hard to change the statistics with help from the community and in 2017, they set the goal of raising $200,000 to buy 20,000 books. With thanks to the Camberwell Girls community, we can report that our own Book Swap raised $2,180. The Great Book Swap helps raise funds to improve literacy levels of Indigenous students. Dream Stitches is a community-based sewing program for migrant and refugee women. Dream Stitches is a community-based sewing program for migrant and refugee women. Funded by The Anglican Diocese of Melbourne, in partnership with Anglicare and the Anglican Parish of Box Hill, the program was formed 13 years ago. Run out of St Aidan’s Church Hall every Friday, a dedicated group of volunteers teach sewing skills to refugee women, with the aim of helping them to supplement their family income. 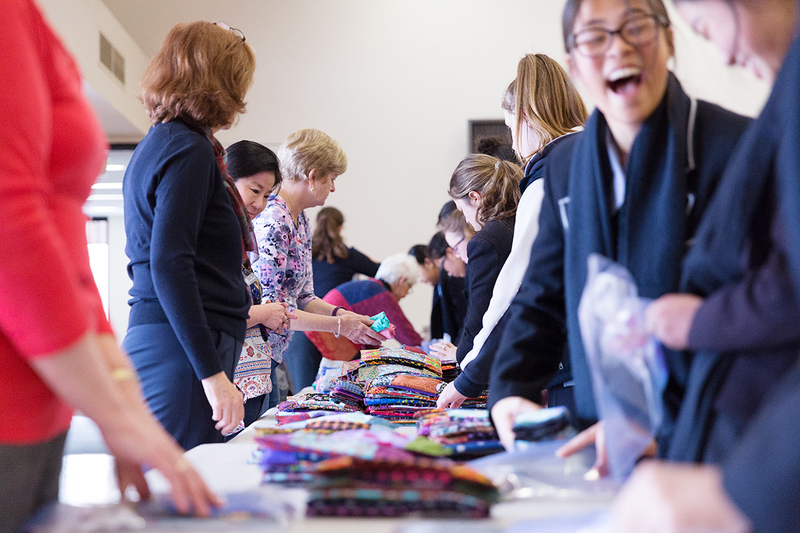 In January, the School formed a partnership with this local program and every Friday, two students and a teacher spend time at Dream Stitches serving refugee and asylum seeker women. As part of our commitment to create lifelong learners and global citizens, we are constantly building new programs, experiences and opportunities both in and out of the classroom. One program that hasn’t changed since its inception in 2008, is our support of the River Nile Learning Centre. Forming part of our ever-growing Service Learning Program, our Year 9 students have been volunteering at the River Nile Learning Centre for eight years now. They gain so much from the experience, that we won’t be stopping our visits and support of this charity anytime soon. It is our own Dr Reverend Duncan Reid that created this special partnership, as at the time he was the coordinator of ourService Learning Program. The River Nile Learning Centre is an organisation that empowers disadvantaged and refugee asylum seeker women through education, which enables them to participate in our community on a more equal footing and also prepares them for employment. Take inspiration from our favourite quotes. Simply print and display on a wall for all to see. River Nile Learning Centre, Salvation Army, Brotherhood of St Laurence, Hedley Sutton Aged Care, Anglicare, the Green Gecko Project Cambodia, CamCare.